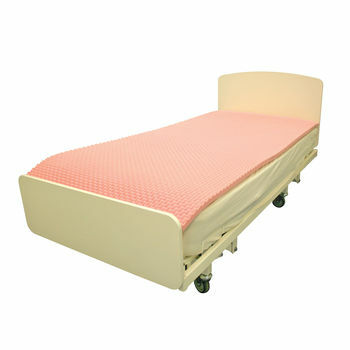 Mattress Overlay - SAF - Shock Absorbing Foam - an anti decubitis foam specially suited to meet the heavy demands of the hospital and nursing care environment. SAF is a high quality viscoelastic foam with an open cell structure which responds to the pressure and temperature. Medium to high risk pressure care. Size 199cm x 90cm x 3cm.